Mr. Samuel Childs is from Mobile, Alabama and graduated from Mobile Christian School (MCS) in 2006. At Mobile Christian, Mr. Childs started piano in 2nd grade and wrote his first composition in 5th grade. He began playing the alto sax in 5th grade, and joined choir in 9th grade. Along with participating in honor bands, he made district honor band every year from 8th-12th grade and participated in the 2006 Alabama All-State Festival as a member of the Blue Band. Mr. Childs also attended honor choirs and was a member of the 2004 and 2006 Alabama All-State STAB Choir. Outside of music, Mr. Childs was a part of the baseball and basketball teams at Mobile Christian starting in the 7th grade. Mr. Childs received Mr. MCS his senior year. Mr. Childs attended college at Auburn University from the fall of 2006 through the spring of 2011. While at Auburn, he majored in piano studying under Dr. Roy Wylie and Dr. Jeremy Samolesky and minored in saxophone studying under Dr. Shane Dickerson and Dr. Ann Knipschild. During his time at Auburn, Mr. Childs was a member of the Auburn University Marching Band, the Auburn University Jazz Band, the Auburn University Campus Band, the Auburn University Symphonic Band, the Auburn University Chamber Choir, and the Auburn University Singers. He also arranged several pieces for the Auburn University Singers and continues to arrange for several high schools across the state today. 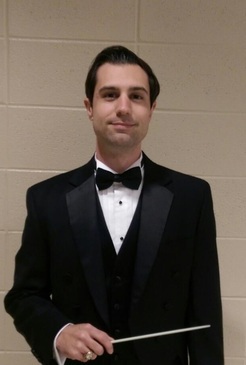 Mr. Childs began his teaching career in the fall of 2011 at Florence Middle School in Florence, Alabama where he taught guitar, general music, and accompanied the middle school choir. He also coached the 7th grade baseball team which placed 2nd place at the Florence Middle School Tournament. In the fall of 2012, Mr. Childs became the band director at Ranburne High School in Ranburne, Alabama (Cleburne County). While at Ranburne, Mr. Childs created the first middle school and high school choirs. The Ranburne Middle School Band became the first middle school band in the county to ever participate in Music Performance Assessment (MPA). The Ranburne High School Concert Band received Superior Ratings at MPA in 2016. While Mr. Childs was the director at Ranburne, The Ranburne High School Marching Bulldog Band received Superior Ratings and Best in Class at Marching Band Competitions every year. He led the RHS Marching Band as they performed in Alabama Governor's Inaugural Parade in January of 2015. Mr. Childs has also taken the RHS Marching Band to perform at Six Flags, an Atlanta Braves game, Universal Studios, and Walt Disney World. During the 2016-2017 school year, Mr. Childs was the director of bands and choirs at Nichols-Lawson Middle School and the Assistant Band Director at Sylacauga High School. Mr. Childs took the 7th and 8th grade band and choir to Six Flags and started up a 7th and 8th grade jazz band which performed at several events throughout Sylacauga. Mr. Childs is a member of the Alabama Music Educators Association (AMEA), the National Association for Music Education (NAfME), and the American Society of Composers, Authors, and Publishers (ASCAP). Mr. Childs composes and arranges choir and band music and has some original piano & vocal compositions on iTunes and other online music stores. Mr. Childs is a huge Sherlock Holmes fan and can usually be found with his side-kick dog, Watson.